Everyone's itching for more news on the new 510, 710 and 910 Go's that were announced last week. 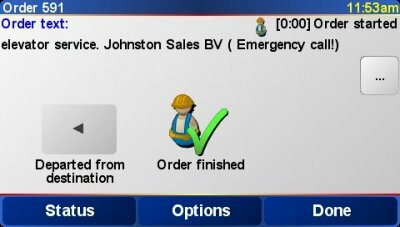 I'll add as much information as we have to this review but initially here are some screen shots of most of the new features, the 16:9 screen, buddies, TomTom Work despatch system and MP3 player. CeBIT, 9 March 2006 – TomTom, the leading navigation solution provider, today reveals the full features of the new TomTom GO range. The new product line will gradually replace the current award-winning GO range, and includes three models, the TomTom GO 910, TomTom GO 710 and TomTom GO 510. All three TomTom GO devices can now be utilised as a hands free car kit thanks to its compatibility with Bluetooth TM wireless technology, enabling users to easily make or accept phone calls whilst navigating. The new pre-installed safety camera database ensures the navigation process is as safe and convenient as possible. Furthermore, the iPod ® control enables customers to operate their iPod ® seamlessly via the touch screen functionality and play music over the built in audio speaker or car stereo. Building on the strengths that have made TomTom devices so popular, the new TomTom GO series includes hundreds of features and software improvements such as route choice, re-route calculation and itinerary planning, making it even easier to navigate from A to B. All users of the new TomTom GO range will benefit from the ground breaking, extra wide 4 inch LCD touch screen. The high quality screen will provide the driver with an even clearer 3D map view and graphics. The improved anti-glare screen uses a built-in sensor that automatically adjusts to the changing external light, ensuring optimal display in any weather conditions by day, night and even in direct sunlight. 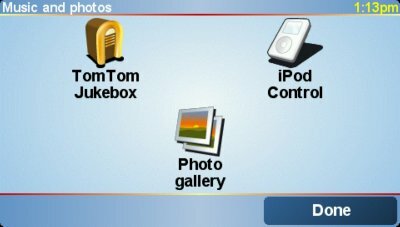 With the new TomTom GO series, TomTom introduces TomTom HOME, a free software application that is compatible with PC and MAC. 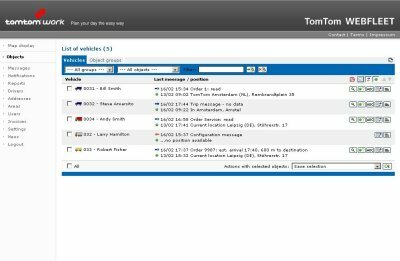 TomTom HOME enables users to manage, download, store and transfer content from their computer onto the new TomTom GO. Drivers can pre-plan their route, download maps and it will be even easier to access the new and improved TomTom PLUS content & services like TomTom Audiobooks, TomTom Buddies, TomTom Traffic & Road Conditions and Weather [see separate press release]. The TomTom GO 910 is TomTom’s top of the line, feature-rich, all-in-one portable navigation device. It has been developed specifically to meet the requests of TomTom’s most demanding customers. The TomTom GO 910 is the world’s first device to store pre-installed maps* of Europe, the USA and Canada, making driving in multiple continents a reality. 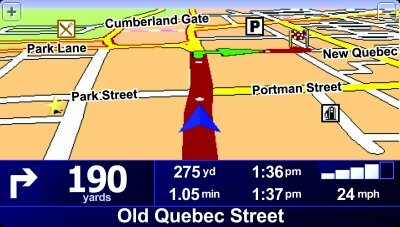 The TomTom GO 910 includes new advanced text-to-speech** technology enabling street names and places to be read aloud as part of the spoken instructions. 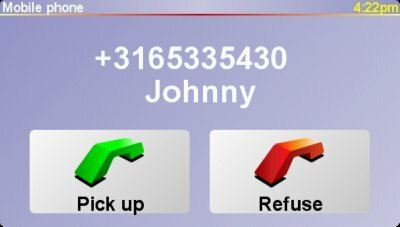 In addition, this feature enables traffic alerts and SMS messages to be read aloud. Another new feature is the built in digital TomTom Jukebox, a music player enabling drivers to listen to all their favourite tunes whilst on the move. With a built in 20 GB hard drive there is room to store 1000’s of songs and play them through the car’s Hi-Fi system or the TomTom GO’s built in audio speaker, whilst viewing your favourite images as a slideshow. A remote control comes as standard with the TomTom GO 910, enabling passengers to operate the device safely and easily from anywhere in the car. TomTom GO 710 has the same easy-to-use navigation software, best routes, 3D map view and spoken instructions as the TomTom GO 910. 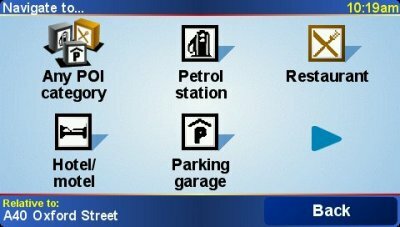 Additionally it has hands-free functionality via Bluetooth-enabled phones and comes pre-installed with the most up-to-date door to door map of Western Europe stored on the memory card. Completing the new TomTom GO range, the TomTom GO 510 features award-winning software, hands-free calling via Bluetooth-enabled phones, as well as the latest pre-installed map of your country and cross border navigation to any town in Western Europe on the memory card. CeBIT, 9 March 2006 – TomTom, the leading navigation solution provider, today announced the addition of the TomTom RDS/TMC Traffic Receiver to the list of available accessories for TomTom users. Providing free traffic information via radio signals, the RDS/TMC Traffic receiver receives and decodes traffic information for the TomTom GO, ensuring customers can travel from A to B with ease. With the new TomTom GO range (910/710/510) and a one-off payment for the TomTom RDS/TMC Traffic Receiver, users can avoid congestion and prevent wasting time queuing in traffic. In addition the TomTom RDS/TMC Traffic Receiver provides TomTom users with alternative routes if delays occur, which ensures limited delays to any journey. The TomTom RDS/TMC Traffic Receiver works by using TMC signals that are received through a normal FM radio antenna and broadcast free of charge by national or regional providers. 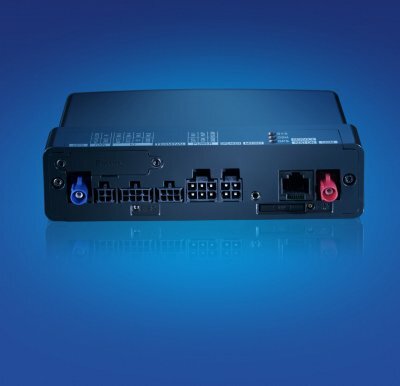 By simply connecting the new TomTom GO device to the RDS/TMC Traffic Receiver, users will automatically receive traffic information via the TMC connection. 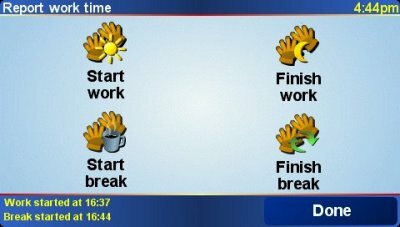 Once a journey is planned, traffic alerts which relate to the route are clearly displayed in the traffic bar on the right hand side of the screen. 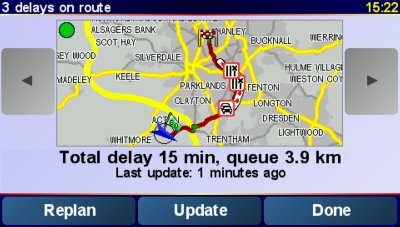 When the user taps an icon shown in the traffic bar, they receive further information, such as the cause or kind of delay to traffic, such as an accident or traffic jam. TomTom continues to provide users with its certified and controlled European- wide TomTom Traffic service, including real-time traffic alerts and the option to plan journeys to avoid traffic hotspots. In addition, the TomTom PLUS Traffic service provides up to date information on weather and road conditions. TomTom Traffic is a subscription based service that can be obtained via wireless data connection (GPRS, UMTS etc.) It requires no hardware. TomTom RDS/TMC Traffic Receiver is available for the new TomTom GO range for 99 euro from major retailers and the TomTom website (www.tomtom.com). Building on TomTom’s already rich PLUS portfolio, the new range of TomTom PLUS content & services offers drivers the chance to personalise their TomTom products, whilst improving and enhancing their navigation experience. TomTom’s new offering features TomTom HOME, a software application that enables customers to easily manage their PLUS content & services from their computer. TomTom HOME simplifies the process of managing, downloading, and storing TomTom PLUS content & services. 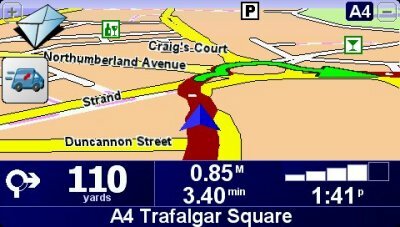 Users can pre-plan their route from a PC or MAC and download content such as maps onto their TomTom GO. TomTom HOME also enables TomTom GO 910 users to play music and view photos. TomTom Audiobooks – Enables users to download and listen to books, magazines or newspapers. NEW! 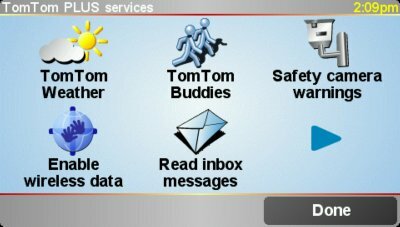 TomTom Buddies - Enables authorised TomTom users to locate each other and send instant messages. NEW! TomTom Safety Cameras – Now pre-installed on the entire new TomTom GO range. Users can report and stay up-to-date on the locations of Mobile Safety Cameras. NEW! TomTom Quick GPS Fix™ - determines your position faster than ever. NEW! TomTom Traffic & Road Conditions – Allows drivers to be kept up to date on any road conditions that may affect their journey such as fog or icy roads. UPDATED! TomTom Weather - Updated to keep TomTom users to be constantly kept informed on road conditions in Europe and the USA, as well as receiving 5-day weather forecasts. UPDATED! For the latest in in-car entertainment TomTom has teamed up with Audible Inc., the largest supplier of digital spoken books to offer a vast catalogue of titles for its new service TomTom Audiobooks. TomTom Audiobooks features a new type of entertainment which allows users to simply download their favourite book, magazine or podcast through their PC or MAC onto their device. 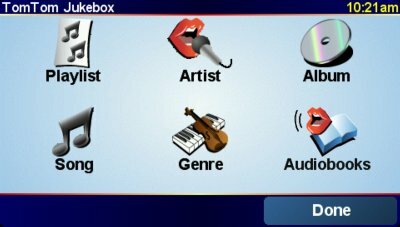 Featuring the biggest catalogue of spoken books from popular authors such as Dan Brown, Stephen King and James Patterson, and with over 23,000 titles from popular genres like fiction, comedy, mystery, non fiction, politics, self-development and language, users can ensure that they’re kept entertained for hours in their car. In addition to books, users can download audio versions of newspapers, events and performances, ‘how to’ programs, language courses, travel information and education programs. TomTom Buddies allows drivers to invite other TomTom users to become their authorised ‘buddy’, meaning users can see where their friends and family are and navigate to their location quickly and safely. Acting like an exclusive club, users can send each other text messages, as well as interesting locations. 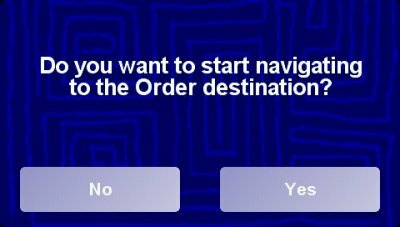 The service also provides the option of privacy, meaning users can hide their location and delete ‘buddies’ as and when required. 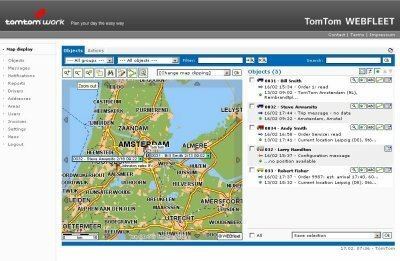 Adding to TomTom’s comprehensive database of safety camera sites that have been checked and verified by TomTom field surveyors, the TomTom safety camera alerts now include Mobile Safety Cameras, and the option to report any new safety cameras at a touch of a button from TomTom devices. Completely integrated into the new TomTom GO range, TomTom Safety Cameras encourage safe driving, whilst ensuring that users can report changes in locations of speed cameras and mobile speed traps. These are then automatically updated in a large database, meaning users will continue to receive the latest information from their device. 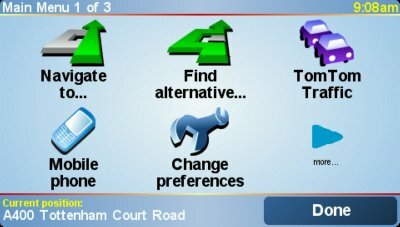 Using the new TomTom HOME software application, users will now be able to download the TomTom Quick GPS Fix™. The TomTom Quick GPS Fix™ continually retrieves ultra-precise details about the satellites orbiting the earth, which means TomTom drivers will be able to find their current position faster than ever when switching on the device. As part of the update to TomTom Traffic, users will now also receive road condition alerts via their wireless data connection (GPRS). Users will be kept up to date on any road conditions such as fog or ice on the road that may affect journeys. Coupled with the current TomTom Traffic service which includes real-time traffic alerts, and the option to plan journeys to avoid traffic hotspots, this service provides complete updates on weather and traffic conditions. TomTom Weather now features detailed real-time weather information for any city on the user’s selected map. By sending information directly to the device, TomTom Weather provides hourly updates on cloud cover, rain and snow, temperature, wind, lightning warnings and visibility, meaning users can travel in confidence whilst receiving the latest news about weather that may affect their journey. Featuring a new 5-day weather prediction, users can receive clear weather updates for the days ahead - ideal for those planning long trips in foreign cities. TomTom Buddies, TomTom Mobile Safety Camera alerts, TomTom Traffic & Road Conditions and TomTom Weather require a Bluetooth™ enabled smart phone. In addition, TomTom PLUS content & services are compatible with the following TomTom devices. Depending on the service, the new and improved TomTom PLUS content & services can be downloaded to the new models of the GO range for free, purchased on the TomTom website www.tomtom.com or through the TomTom device.